A lawn is a living thing that requires maintenance as the seasons change. Using the correct grass seed at the right time will get you the best results for a lush expanse of lawn year round. A quality winter weed and feed gives a good dose of much-needed nutrients to a lawn lacking in sunlight and suffering from harsh weather conditions. The winterizing fertilizer should have a slow-release form of nitrogen for the best results. Scotts fall weed and feed meets this recommended mix. What’s in a Lawn Winterizer? A good bag of winterizing fertilizer for the lawn contains one essential ingredient. It should be high in potassium. This can be labeled as "K" in the list of ingredients. It should be in the top three on the list of ingredients. The other important ingredients that a lawn craves in the dead of winter are nitrogen and phosphorous. Potassium – This helps the plant to better absorb nutrients and to handle the colder temperatures and subsequent stress that harsh weather brings to the tender green grasses of your lawn. It works to strengthen and harden plants at the cellular level. It works from the roots to the tip of the blades. Nitrogen – A standard nutrient for lawns, nitrogen promotes stem and leaf growth during winter months. Nitrogen is required in order for your lawn to grow rich, thick and a lovely shade of vigorous green. Phosphorous – The right amount of phosphorous assists the other two ingredients with the lawn's healthy root growth. An effective commercial winterizer fertilizer should have higher levels of potassium followed by lower levels of nitrogen compared to the turf-building early season fertilizers that you use in warmer weather. The numbers on the front of the bag are the levels of potassium, nitrogen and phosphorous in order. So, a Scotts WinterGuard bag of fertilizer with the number 24-2-14 is 24 potassium, 2 nitrogen and 14 phosphorous. Comparatively, its typical turf builder contains a mix of 29-2-4. It's quite a difference, so don't get them confused and use a turf builder when the lawn is craving a different mix. Cool-season grasses such as fescue and bluegrass need a good layer of winterizing fertilizer to create a thick carpet of bright blades that can survive throughout the winter. The right winterizing fertilizer will help the lawn to grow quick and thick with very little coaxing when the level of light is low and the temperatures even lower. Scott's WinterGuard has a wide coverage and a quick establishment rate for keeping a lawn lush throughout the cold season. If you have patches that pop up due to harsh weather or pets digging up the already stressed winter lawn, then you can mix in some grass seed with your Scotts winterizer. 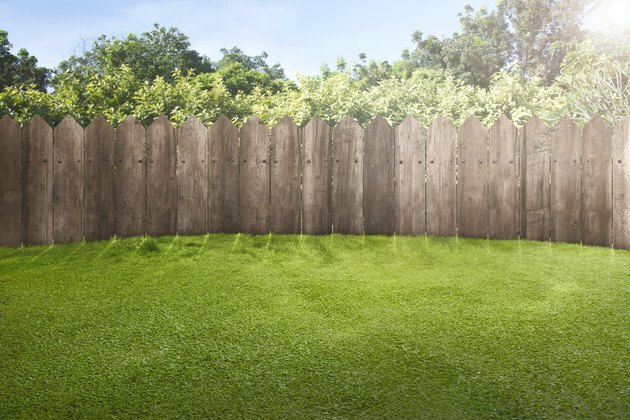 A sprinkle of Scotts Patch Master Lawn Sun and Shade mix can fill in gaping patches in your winter lawn so you will have a rolling expanse of unbroken green lawn when spring arrives. The mulch of pelletized paper in the mix keep the little seeds moist and firmly in place as they take root. 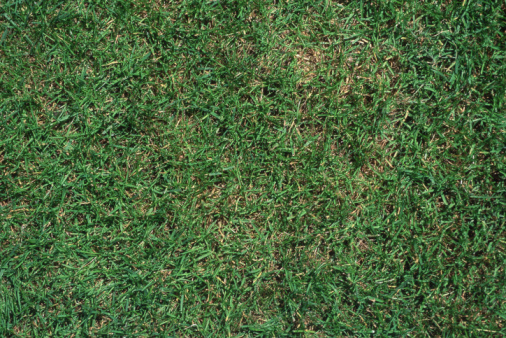 Don't overseed, or you will run into problems with overfertilizing your lawn. The seed patch in Scotts mix contains nitrogen to assist the little seeds as they grow and blend in with the surrounding blades of grass.